Fast Fencing, Speed Fencing, Temporary Fencing or Crowd Control Fencing is used to quickly and efficiently fence off or control crowds on a temporary basis. 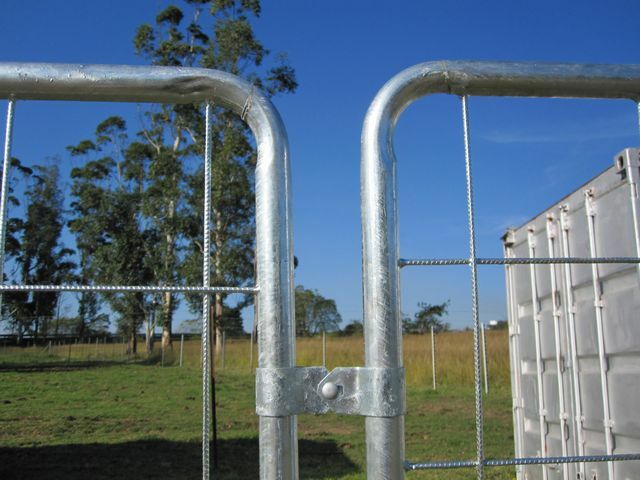 Our fast fencing is made from 38mm tubing with 5.0mm mesh welded into the frame to form the barrier. The fast fencing panels are hot dip galvanized after manufacture. The temporary fast fence panels have swing out feet to support the panels. The crowd control temporary fence panels are connected with brackets which bolt together. This means that the fencing cannot not be lifted apart by people in the crowd. 2.5m x 1.2m at a 60 degree angle.